Tune in for a brand new episode of Fuhmentaboudit! as Mary Izett and guest co-host Rachel Jacobs talk to Nancy Singleton Hachisu. 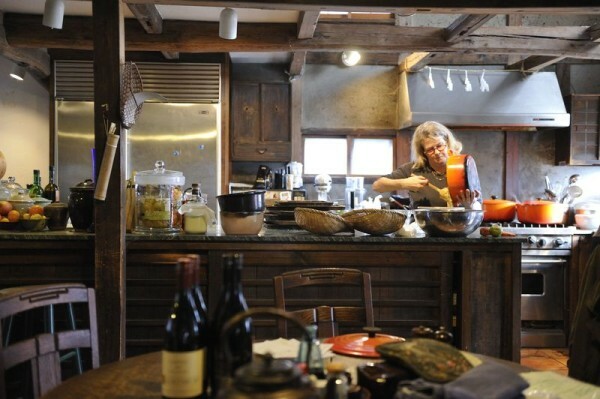 Author, cook, and farmer, Nancy left California for Japan in the late 1980’s, fully intending to learn Japanese in one year and return to the States for graduate school, and instead fell in love with a Japanese organic farmer. Now living with her husband and three sons in their eighty-five-year-old traditional farmhouse, Nancy has taught home cooking to Japanese housewives for over two decades and is the leader of a local Slow Food convivium and talks to Fuhmentaboudit! about all things fermented in Japan. Form natto to various fermented fish to shochu, this episode covers it all! –Nancy Singleton Hachisu on Fuhmentaboudit!